New Delhi : The scientists have developed an antimicrobial coating that will prevent them from superbugs aboard the International Space Station (ISS), also protect astronauts in their journey to planets like Moon and Mars. Extreme spaceflight conditions make the bacterias stronger and lower immune system of the astronauts, this coating will decrease the risk of infection during the mission. "Spaceflight can turn harmless bacteria into potential pathogens," said Elisabeth Grohmann of Beuth University of Applied Sciences Berlin in Germany. 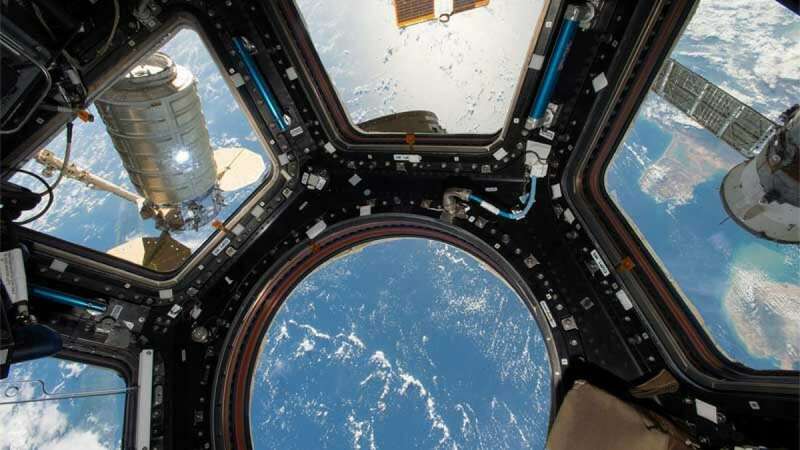 "Just as stress hormones leave astronauts vulnerable to infection, the bacteria they carry become hardier -- developing thick protective coatings and resistance to antibiotics -- and more vigorous, multiplying and metabolising faster," said Grohmann. To overcome this situation, the scientists have tested a new antimicrobial coating, AGXX, on a contamination-prone surface aboard the ISS: the toilet door. "AGXX contains both silver and ruthenium, conditioned by a vitamin derivative, and it kills all kinds of bacteria as well as certain fungi, yeasts and viruses. The effects are similar to bleach -- except the coating is self-regenerating so it never gets used up," said Grohmann. A regular silver coating tested for comparison had only a slight antimicrobial effect, reducing the number of bacteria by 30 percent versus steel. “Most importantly, no serious human pathogens were found on any surface. Thus, the infection risk for the ISS crew currently is low,” said Grohmann. And with the results, it is clear that the scientists can have better prevention in the space from viruses with the help of this coating.